Brush, Coleman, Ventre, Peers, MacKenzie, Cash (Doherty 72), O'Grady (captain), Murphy (Moore 72), Cretaro, Judge (Boco 56), Kuduzovic. Barry Ryan, Brennan, Harris, Lynch, Byrne, Kirby, Fahey, Dempsey, Guy, O'Neill (Fitzpatrick 66), Quigley (Ndo 86). 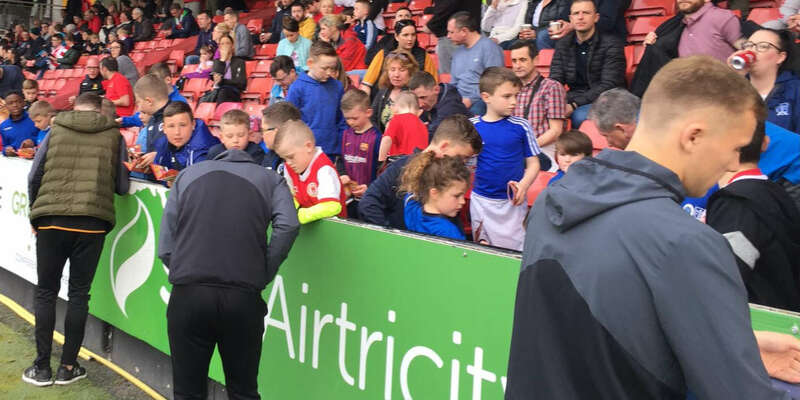 Ryan Guy and Jamie Harris were on the mark against Sligo Rovers for the second successive game as St Patrick's Athletic returned to winning ways at the Showgrounds. 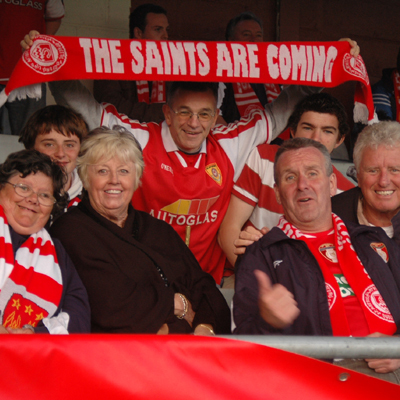 Guy and Harris shared the Saints goals in a 3-1 defeat of Sligo on the opening day of the season, and they did the damage again as the league-leaders took all three points. 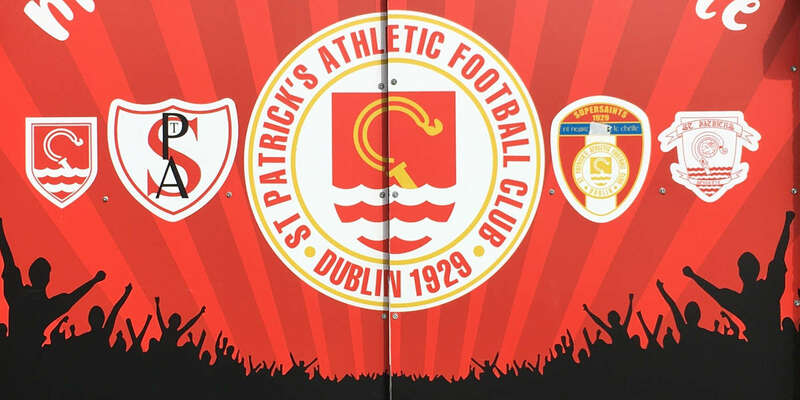 St Pat's came into the game on the back of successive draws, and looked to be heading for another having failed to trouble Rovers keeper Richard Brush in over an hour's play. But Guy struck the game's opening goal on 65 minutes, with an exquisite finish from a tight angle on the right-hand side of the area. 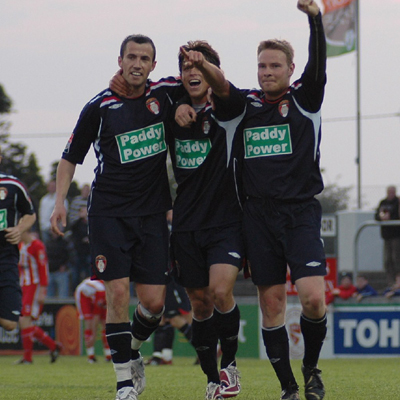 Conor O'Grady equalised with a header on 80 minutes, but Harris won it for the visitors when he directed Keith Fahey's corner to the net with eight minutes left. O'Grady and Pat's midfielder Gary Dempsey had both earlier hit the crossbar in what was a thoroughly entertaining tie. 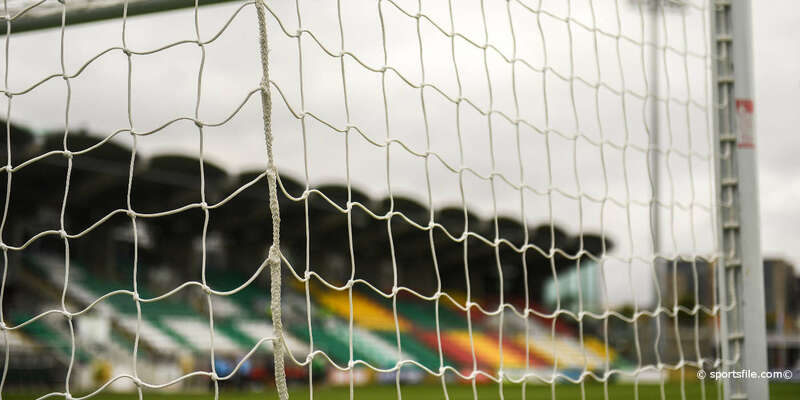 The Saints made two changes to the team that drew with UCD - Damien Lynch and captain Harris returning to the team in place of Noel Haverty and the suspended Stephen Paisley. Rovers were dealt an early blow when centre-back Mauro Almeida was ruled out through injury. This meant Jamie MacKenzie came in as the only change to the team that defeated Bray last time out. An entertaining opening quarter produced plenty of good football, if few clearcut chances. Former Pat's favourite Anto Murphy had the first decent chance, when he won a free on the left and Danny Ventre's delivery was helped on by Fahrudin Kuduzovic. Murphy met it at the back post with a sharp volley, but Lynch was well placed to take it off the line. Rovers could easily have ended the half ahead, when they were denied three times from close range in the space of ten seconds. Firstly Brian Cash had a shot blocked on the line by Stephen Brennan before Barry Ryan pulled off a fine stop to deny Murphy from the rebound. Rovers came a third time, but Conor O'Grady's snapshot clipped the crossbar and the Saints survived. The visitors came close on 54 minutes when Dempsey smacked a shot off the crossbar from a free-kick, although Fahey was too high from another free just a minute later. Rovers responded by throwing Romuald Boco on for Matthew Judge, and it almost paid instant dividends when the Benin international worked a neat one-two with Kuduzovic and forced a decent save off Ryan. O'Grady met the resultant corner from Kuduzovic with a firm header, but his effort flashed narrowly wide. 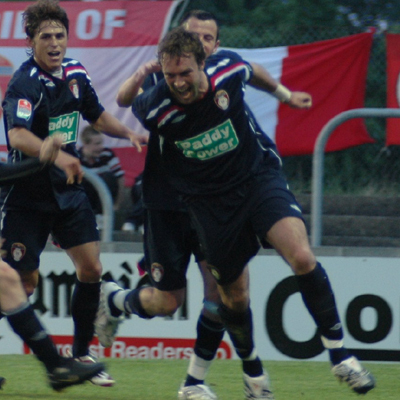 But Guy produced a goal out of nothing to give the Dubliners the lead. The American broke down the left, and when his initial cross was blocked by Ventre he delicately chipped the rebound over Brush and into the far corner. Rovers threw on Alan Moore and Sean Doherty to try and force an equaliser, and they got it on 80 minutes when Doherty's free was headed home at the far post by Conor O'Grady, with a little help from MacKenzie on the line. But St Pat's took just a minute to grab the winner, with Fahey's corner smashed to the net by an unmarked Harris.